This is a fascinating sefer - seemingly simple, with answers easy enough for small children to understand and yet containing explanations to conundrums that have puzzled many for generations. This is a remarkable book to assist those of us – and that means everyone – who are trying to find our way in life, with all its setbacks and pain, as well as for people who want to help people. The proof will be in your hands: some self-published books are remarkably wonderful. Lisa Aiken's The Family Guide to Touring Israel is a 382-page paperback with essentials even native Israelis need to know. A family affair, this is a book to get your hands on - literally! Your family can join Noah's as you read about how they cared for the zoo within the ark on their 40-day and night journey. Is there anyone among us who doesn't know the pivotal role in the establishment of The State of Israel played by Chaim Weizmann; or Ben Gurian; or U.S. President Harry Truman; or countless other well-known personalities? It's hard to read a book and get up and move simultaneously. But this book, more than any other, did get me to get up and move. Yeshivat Har Etzion is one of the main centers of religious Zionism in Israel. Getting Your Book Published: What Are Our Options Today? Traditional publishers are able to market and distribute your book to the widest audience. Kosher cookbooks have come a long way to being what women need. Flimsy paperbacks and poorly bound hard covers with yellowed, deteriorating pages that kept falling out have become beautiful, helpful and long-lasting. With Kosher Elegance, author Efrat Libfroind brings classic culinary skills to the table with clear directions and illustrative photos that portray aroma and taste. You'll want to eat the pictures! Not only do books make great Chanukah presents, but you may just instill a love for the printed word in your kids, a gift that can last a lifetime! Nemerov, the district Police Commissioner, reared his horse in the air. "Three days," he warned. "The Jews of Anatevka have three days to clear out of the area." It didn't matter that the Jews had lived in Anatevka long before the Russians. The Police Commissioner didn't care that Tevye's great-grandfather, may his memory be a blessing, had cleared the forest by the lake and built the first house in the region. It didn't matter to the Czar and his soldiers that for as long as anyone could remember, the Jews had dutifully paid the taxes which had laden the Czar's table with food, while the pantries of the Jews remained bare. Willard Gaylin, M.D., a prominent psychotherapist and psychoanalyst, as well as Clinical Professor of Psychiatry at Columbia College of Physicians and Surgeons, has written one of the most important recent books dealing with the etiology of all kinds of hatred, including those that are purely personal, and that may have actual meaning, of the person who hates, as well as those derived from delusional thought, including (but certainly not limited to), anti-Semitism. Readers of Clayton’s short stories know that he is not only a master craftsman, but that his stories are inquires into the purpose of life; he is a moral philosopher. Readers will fall in love with the captivating illustrations and the healthy emotions shared by a grandfather and granddaughter in lap-sized Grandfather's Wrinkles. Oscar Israelowitz has outdone himself with the recently published, entirely updated guide to Jewish sights, sounds and fragrances of interest in all of New York City. 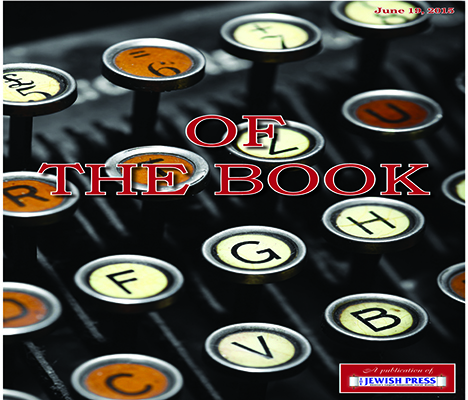 Hineni, the renowned Torah outreach organization, has announced that the latest best selling book of its founder and president, Rebbetzin Esther Jungreis is now available in an audio CD version. With Journey of Faith in front of you during the shul’s leining, or at home on a long Shabbos afternoon, you’ll enjoy worthy insights and see the entire sefer anew. Wouldn't it be wonderful to have your own personal helper in the sometimes ominous task of making Pesach? Your own friendly advice source and assistant guiding you each step of the way toward successful Pesach preparation? Over 30 years ago, Rebbetzin Chana Bracha Siegelbaum had not yet found the world of wisdom in the Torah. Publishers of this book (made into a movie of the same title currently in select theaters) hope that reviewers won't reveal the story's ending. Creativity without clarity is not sufficient for writing. I am eternally thankful to Hashem for his gift to me. 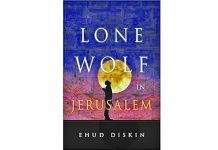 Diskin paints with a historical brush, using historical names, places and facts to back up a richly embroidered fictional account that proves to be a page-turner one can’t put down. 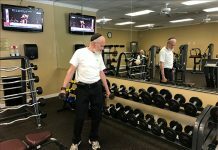 After nearly every interview is a postscript describing what the interviewee and/or his cause has been up to since the interview first appeared in the pages of The Jewish Press.